The EVE community has a reputation for being very charitable. EVE Vegas 2018 held, among its other charity driven ventures, a silent action. The silent action raised $7,085, with a single piece of art making up over a third. That piece was Ghost of a Nyx by Razorien, truly a great prize. Stealtooth_Slicewind won the auction for Razorien‘s piece at a final price of $2,500. EVE Vegas collected a total of $15,247 for a noble cause, the Ablegamers Charity. Reader and Pilots can help in a number of ways first donating directly. With $0.94 of every dollar directly to gamers in need, Charity Navigator ranks that as one of the best ratios in the world. In comparison American Red Cross is around 89% of each dollar. 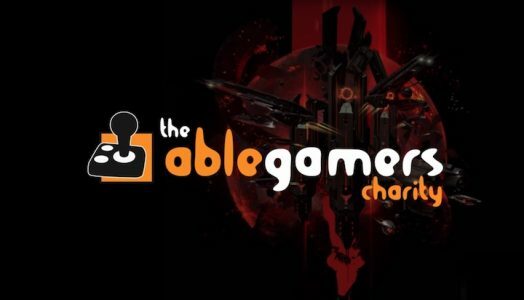 The AbleGamer charity strives to be transparent and responsible with every purchase made. Secondly, get the word out to friends, family, other gamers. A member of the Corporation Signal Cartel and EvE-Scout Enclave Alliance, Razorien has been part of the EVE scene for over 4 years. His talent was evident during his first round of postings in Feb. 2016. 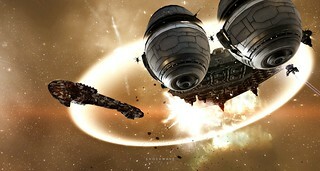 EVE has seen a ton of visual updates and enhancement over the years, and Razorien has pushed there limits. Razorien shots aren’t your average screencaps. They’reimages captured, sometimes timely crafted scenes others right place-right time, that he then artfully post-processes and paints in deeper details with an expert’s eye. Ghost of a Nyx is a bit of a departure for his standard work. 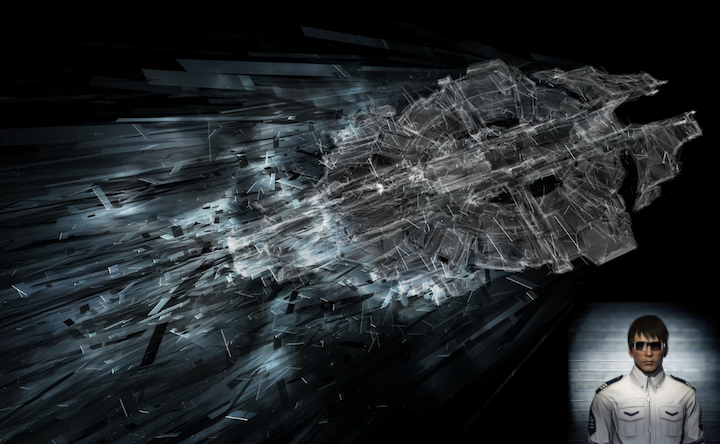 The collection Code Art (OF C++) is more of a deconstruction, something capsuleers are very fond of doing, of EVE’s favorite ships. I was pretty pleased to find this page. I want to to thank you for your time just for this fantastic read!! I definitely really liked every part of it and i also have you book-marked to look at new information in your blog. Spot on with this write-up, I seriously believe this web site needs much more attention. I’ll probably be returning to read more, thanks for the information! Am i legally responsible for web content on my blog sites & online forums that have created? Normally I do not learn article on blogs, however I wish to say that this write-up very compelled me to check out and do so! Your writing taste has been surprised me. Thanks, quite great article. I’m searching for some truly excellent company blogs to include in my google reader that are worthwhile adhering to on an ongoing basis. Can you make as well as referrals? I have Seth Godin’s currently. Many thanks!. It would additionally be practical if you informed me why you liked these blogs. There’s certainly a lot to know about this issue. I really like all the points you’ve made. I am writing to let you understand of the exceptional experience my cousin’s girl developed visiting your blog. She learned so many details, which include what it’s like to have an amazing teaching spirit to make certain people clearly learn about chosen specialized subject areas. You undoubtedly exceeded my expectations. Thank you for providing those essential, trusted, revealing and as well as easy guidance on the topic to Emily. Helpful info. Fortunate me I found your website by accident, and I’m shocked why this twist of fate did not took place earlier! I bookmarked it. t42cIs you may have a terrific blog here! would you like to make some invite posts on my blog? I have been exploring for a bit for any high quality articles or blog posts on this sort of house . Exploring in Yahoo I at last stumbled upon this site. Studying this information So i am happy to express that I’ve a very excellent uncanny feeling I found out exactly what I needed. I such a lot definitely will make sure to do not put out of your mind this website and provides it a look regularly. Studying this info So i’m happy to express that I’ve a very just right uncanny feeling I found out just what I needed. 8TQKye I truly appreciate this post. I ave been looking everywhere for this! Thank God I found it on Bing. You ave made my day! Thanks again.. Valuable information. Fortunate me I found your site accidentally, and I am shocked why this accident didn’t came about in advance! I bookmarked it. What is the very best way to look for blogs you want?